On the way through the Mountains in British Columbia, we stopped at the Rogers Pass rest area. After two or three minutes in the parking lot, we heard footfalls on the roof of the Car. Just after, a dark streak shot off to the spruce tree to our right. It turned out to be two Stellar's Jays apparently used to travelers in the rest area. 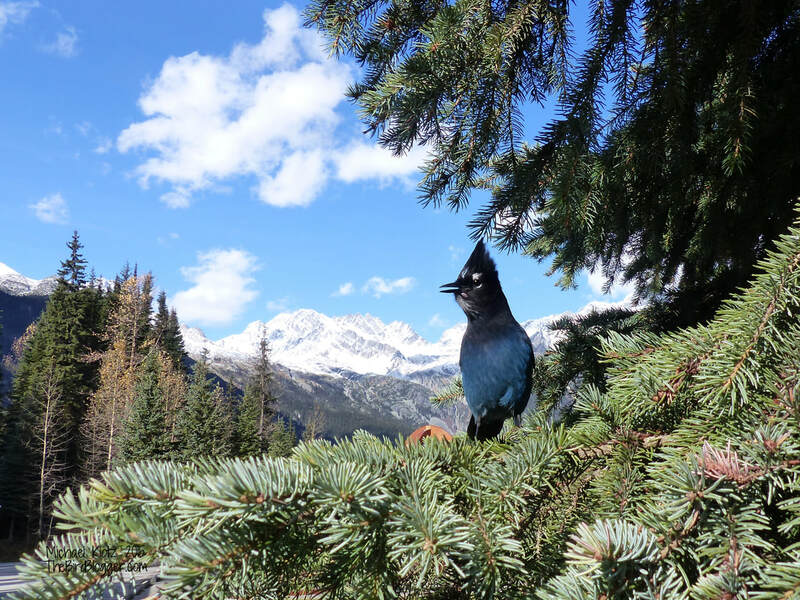 This bird was kind enough to pose in front of the snow-capped mountains in the pass.